eQualit.ie Inc. is a Canadian corporation (eQualit.ie, we, or us) that provides a distributed denial of service (DDoS) mitigation service called Deflect (Deflect or, the Service) to individuals, organisations, and businesses engaged in advocacy efforts that empower civil society and defend human rights and freedoms (you). 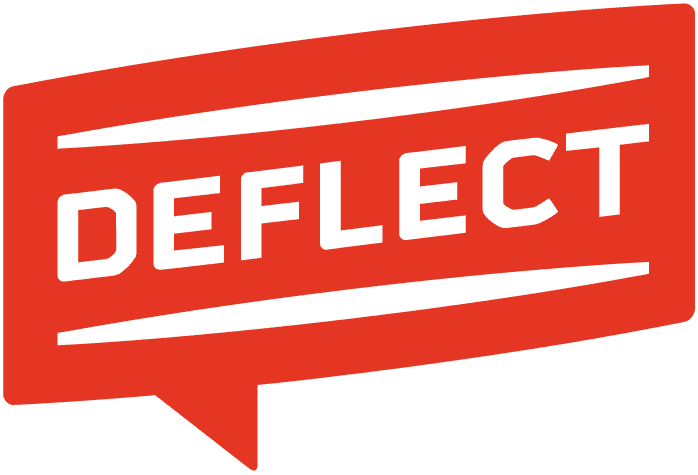 We operate the Deflect.ca website and its subdomains. We are based in Montreal, Canada but our team is located all over the world. Please refer to the eQualit.ie Manifesto to learn more about us. By registering for the Deflect service you agree to be bound by and to comply with these terms of service and our Privacy Notice (collectively, the Terms). Deflect is a DDoS mitigation service. Our goal is to create a community-driven and open-source technical response to DDoS attacks which result in the censorship of online voices promoting and defending civil liberties and human rights. Deflect protection is offered to civil society groups and individuals working to defend human rights and create independent media. Our services are also available to those promoting democracy, ecology, women’s rights and the principles enshrined in the International Bill of Human Rights. Deflect is a free service. There are no fees to use Deflect. To use the Services you will need to create a user account and provide some basic information about your website, including the domain name and the server IP address. Once you have registered you will be able to configure each website that you want to be “deflected” through the Deflect Dashboard. Each organisation that uses the Services must appoint a representative duly authorised to act on its behalf, who will (i) have access to the Deflect Dashboard profile configured for their website(s) and who (ii) has access to and control over the primary email address associated with registration of that website (the Website Representative). We will only take instructions from and communicate with the Website Representative or others who have been authorised by the Website Representative. Preference will be given to communications made via the Deflect Dashboard, or, via email, from the primary email address associated with registration of the website. Where, for whatever reason, the Website Representative is unable to continue acting, a new Website Representative must be authenticated by eQualit.ie. You may contact us using the Contact Us form on the eQualit.ie website. You grant us a royalty-free, non-exclusive, non-transferable right and licence to use, copy, store and display the data you provide us solely for the purpose of enabling us to perform the Services. Represent and warrant that you have the full power and authority to register your organisation’s website for Deflect. Assign, record and control the issuance of your Website Representative’s authority. Be responsible for the accuracy, completeness and adequacy of your data. Be responsible for ensuring that the content on websites using the Services adheres to these Terms and our Manifesto. Inform eQualit.ie staff 24 hours in advance of any security scans you may want to run on your website, we do not want our scan counter- measures to return invalid responses to your scans. Be responsible for ensuring that any copyrighted material shall be used with the permission of the owner or that you are otherwise permitted to post the material. Keep your account password and information confidential. Treat eQualit.ie staff and its partners with courtesy and respect, remembering that this is a free best effort service run by some very dedicated and overworked people. We lean on the International Bill of Human Rights when required to define content that is discriminatory, threatening, or liable to incite violence, or racial hatred. We lean on the Canadian Privacy Act and PIPEDA when defining personal privacy violations. However, in all cases, we reserve the right to interpret abuse complaints and the content we host or carry for our clients to the best of our abilities, without limitation. Introduce malware or viruses through our Services. Objectionable Content is content that infringes on the rights of others, particularly human rights and the right to privacy, and or content which is discriminatory, threatening, or liable to incite violence, or racial hatred. If we believe that your content or data contains or includes malware, viruses, or Objectionable Content then we may remove your data and website from Deflect. If we receive a complaint about your website’s content we may contact you for further information and to give you a chance to explain your content. Following our review we may decide to terminate your account and your use of our Services. Please report any abusive content using the Contact Us form on the eQualit.ie website. Operate according to our DDoS principles and place the utmost importance on data security, your privacy, and respecting your technical and service demands. Expend best efforts to (i) keep your website online during a DDoS attack and (ii) continue providing the Services to you irrespective of attacks against your website and or pressure exerted on our organisation. Provide our Service in accordance with our Privacy Notice . Inform you via email, or, if relevant, over the phone or any other communication medium you have provided to us prior to taking advanced mitigation measures. Endeavour to keep our network and all relevant services current, and install the latest software updates and vulnerability patches as and when they become available. Make our help desk available to support your use of Deflect and aim to respond to help tickets within 6 hours between Monday-Friday (all timezones). When possible, notify you by email of all interruptions to the Services and try to keep such interruptions to a minimum. Notices of legitimate copyright infringement that we receive will be forwarded to the Website Representative. We may have to suspend the Service to a website in order to comply with applicable copyright law. These Terms take effect when you register for Deflect. You are free to stop using Deflect at any time by pointing your domain’s nameserver records away from us. If we believe that you are not respecting our Terms we may suspend your use of Deflect and terminate your account. In our discretion, but acting reasonably and in good faith, we may cease providing the Services to you, for example, if our funding sources expire. If this happens you will be notified at least one month in advance, if possible, and offered assistance to migrate away from Deflect. If you violate these Terms we may take escalating steps to rectify the situation, including suspension of your account and the Service. We will aim to be fair and proportionate. If we do not take immediate action, we are not waiving our right to take action later on. We provide Deflect using a commercially reasonable level of skill and care but we cannot make any promises about specific functions of the Service, its reliability, availability or ability to meet your specific needs. We cannot make any commitments that your website will always be safe from attacks. We provide our Services “as is” and exclude all warranties to the extent permitted by law including implied warranties, conditions of merchantable quality, fitness for a particular purpose, non-infringement, that the services will meet your needs, will be available for use at any particular time, or that they will be error free. In no event shall we be liable for any direct, consequential, incidental, exemplary or punitive damages even if advised in advance of the possibility of such damages. Nor shall we be liable for any lost revenue, lost profit or lost savings, or the results of your use or misuse of the Services, including any use contrary to law. You, and where applicable, your organisation will hold harmless and indemnify us and our affiliates, officers, agents, and employees from any claim, suit or action arising from or related to the use of the Services or violation of these Terms, including any liability or expense arising from claims, losses, damages, suits, judgments, litigation costs and attorney’s fees. We may modify these Terms from time to time and will notify you when this happens. If you don’t agree with our modified Terms then you should stop using Deflect. The laws of Canada will apply to any disputes arising out of or relating to these Terms and will be litigated in the Province of Quebec, Canada. If any part of these Terms is not enforceable, then the rest of the Terms will remain in force as though the unenforceable provision had never existed.